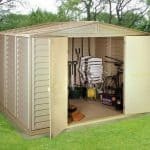 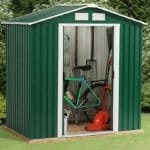 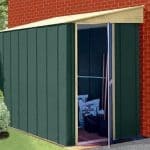 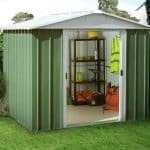 This is a great little garden store which is constructed out of galvanised steel for extra security and has a spring assisted opening and closing action. 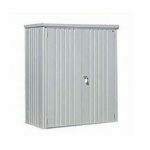 It is also fire resistant and has two padlock points so you can be sure that everything is kept clean, dry and safe. 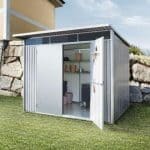 Perfect if you are limited on space or if you need additional storage. 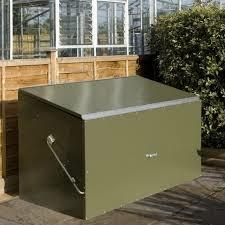 This is hone delivered and has a 10 year rust guarantee.